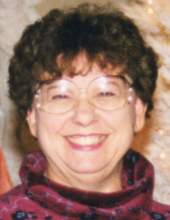 JoAnn Fairley, 81, of Altamont died at 1:38 p.m., Monday, January 21, 2019 at Lutheran Care Center, Altamont. A memorial service will be held at 7:00 p.m., Thursday, January 24, 2019 at the First United Methodist Church, Altamont, with Rev. Paige Campbell officiating. Visitation will be for 2 hours prior to service time at the church. Burial will be at a later date at Arborcrest Memorial Park, rural Effingham. Memorials may be made to the First United Methodist Church or Lutheran Care Center. Gieseking Funeral Home, Altamont is assisting the family with arrangements. JoAnn was born on Wednesday, July 21, 1937 in Alburnett, Iowa to John Richard and Helen Marie (Hruby) Timms. She married Dallas Fairley on June 9, 1956 in Marion, Iowa. She was a member of the First United Methodist Church, Altamont, where she was a choir member. She eventually received her bachelor’s degree before retiring after 38 years with Contel Corporation and returning to Altamont. Also, a member of the Mixmasters Bridge Club, St. Elmo Bridge Club and Afternoon Ladies Bridge Club, Fine Line Investors, and Altamont Garden Club. She is survived by; her husband of over 62 years, Dallas Fairley of Altamont; daughters, Deborah Ann Schoenhoff and husband Gerald of Brownstown and Kathryn Jo Ruff and husband David of Altamont; sisters, Betty Jean Matheny of Cedar Rapids, Iowa, Rose Marie Shepard and husband Donald of Houston, Texas and Mary Louise Welch of Waco, Texas; grandchildren, Mitchell Ruff, Justin Wagemann, Brianna Schoenhoff, Adam (Brittney) Mette, Angelisa Schoenhoff, and Bethany Schoenhoff; great grandchildren, Kyleigh Brown, Abby Mette, and Bostyn Mette. JoAnn was preceded in death by; her parents, and 2 children at birth; son, Robert Charles Fairley, daughter, Brenda Christine Fairley, a brother, Johnny Timms, in infancy, brothers-in-law, Richard Matheny and Jeffrey Welch. To send flowers or a remembrance gift to the family of JoAnn Fairley, please visit our Tribute Store. "Email Address" would like to share the life celebration of JoAnn Fairley. Click on the "link" to go to share a favorite memory or leave a condolence message for the family.